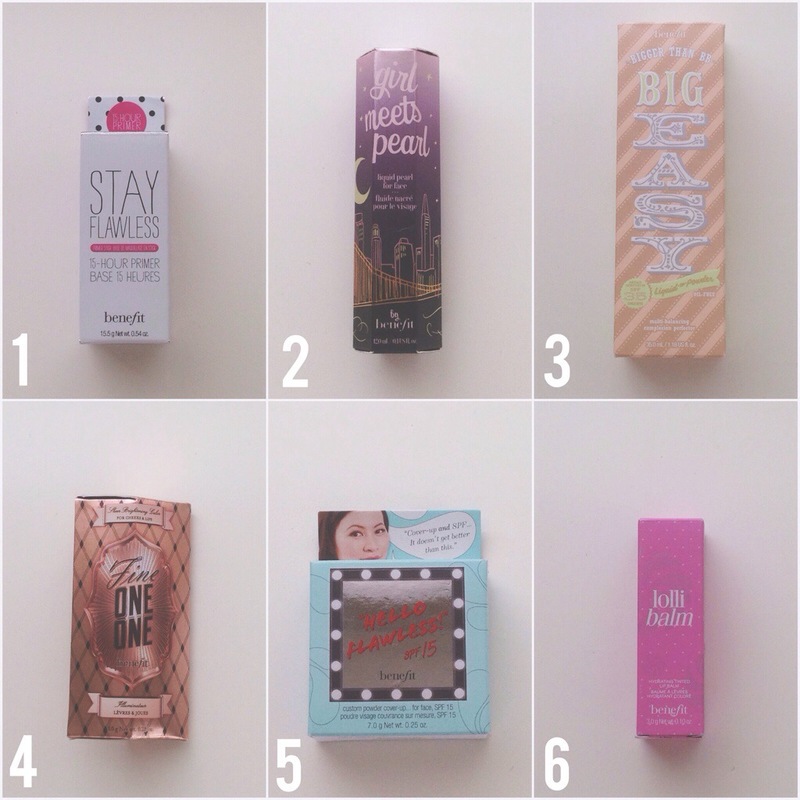 These six products are some of my favorite Benefit products and are all perfect for a simple summer makeup look. I love Benefit’s cute playful packaging and how each product can be used in different ways. Product #1 is their newest face primer “Stay Flawless.” It is a 15 hour primer base in a stick-form that acts like a magnet to lock on foundation for 15 hours. It helps increase foundation coverage and the look of skin/complexion. To apply, glide the primer stick all over your face, then gently blend it with your fingertips. Product #2 has been a favorite Benefit product of mine for awhile. It is a liquid illuminating product called “Girl Meets Pearl.” It can be used underneath foundation for a natural glow, on top of makeup on the cheekbones as a highlighter, or worn alone for a beautiful dewy complexion. It can also be mixed with other primers to add a touch of radiance to the skin. The best application method for this product would be the tips of the fingers. Product #3 is their new BB (beauty balm) cream “The Big Easy.” This product is a lightweight liquid to powder foundation that helps balance the skin’s moisture and controls oil. It is a self-adjusting formula that melts in like a cream and finishes to a velvety powder. It is an oil-free product and non-comedogenic (meaning it won’t break you out). It also contains an SPF of 35 so you will be getting a little sun protection as well. Product #4 is beautiful cream cheek brightener called “Fine One One.” It is a sheer brightening cheek trio with a pink champagne, watermelon, and coral color that can be used on the lips as well! The color looks good on many different skin tones and lifts and shapes the cheekbones with a touch of radiance. The best way to apply this product is also with the finger tips. Product #5 is the “Hello Flawless” face powder. This product has been one of my favorite powders for a long time. It is a very soft and velvety powder with SPF 15. It contains a small brush inside as well as a sponge applicator. Applying this powder with a sponge will give a beautiful full coverage that still feels lightweight and soft. Applying it with a brush will give a sheer natural finish by itself, or can be put on top of a liquid foundation for an amazing full coverage and satin finish. Product #6 is one of the new hydrating tinted lip balms called “Lolli Balm.” This candy-orchid tinted lip balm is very hydrating and conditioning and gives just the perfect tint of color. This is a great product to have in your purse and apply by itself throughout the day, or it can be worn over the top of any lip stain or lipstick to add hydration and shine. All of these products can be found at your local Sephora or online at http://www.benefitcosmetics.com.